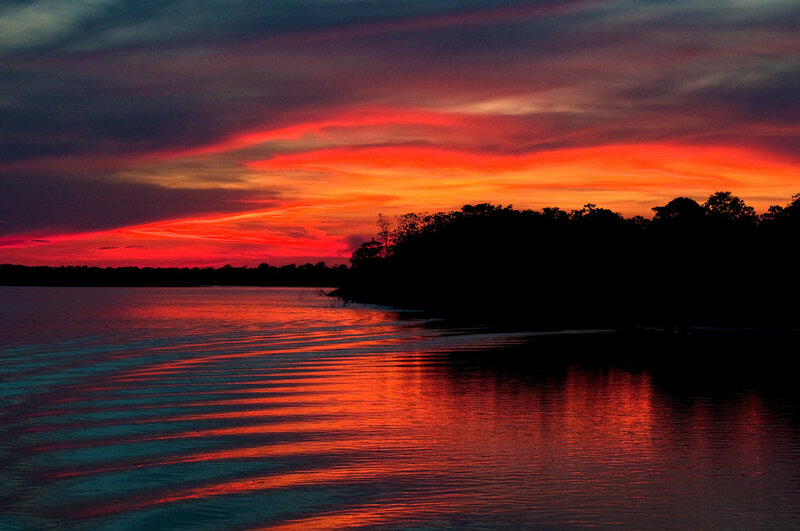 Love is a beautiful thing, and it’s especially exhilarating when you’re cruising down the exotic Amazon with your soulmate on a deluxe riverboat. While far from a traditional honeymoon choice, few destinations suggest romance like the Amazon and no vessel can surpass the enchantment of the Delfin. Imagine waking up in your deluxe cabin to sunrise on the river, the sound of tropical birds surrounded by the lush rainforest. Enjoying gourmet meals and exciting excursions into the forest and along the narrow river tributaries in search of monkeys, macaws and more. Relaxing on sunset on the deck as night falls and the stars appear overhead. It’s a true romantic adventure, perfect for the Bachelor and Bachelorette in all of us! Want to end your trip with a visit to Cusco, Machu Picchu and the Sacred Valley? Combine this trip with our 5 day/4 night Luxury Machu Picchu extension trip for just an additional $995 per person. Join the southern beat of our capital. Connect to Lima and go over wheels by our districts of Barranco and Miraflores, experiencing with colors, flavors, and sounds that make this city a so special trip destination in South America. Arrival to the Amazonian City of Iquitos: Our crew will be expecting your arrival at the airport, then transfer all together in our comfortable private vehicle. We will start you off with a lunchbox as we begin the journey to Nauta. Samiria River: Our skiffs skim the Samiria River and its tributaries, where an abundance of wildlife hides in the deep rainforest, such as blue and yellow macaws, scarlet macaws, toucans, umbrella birds, monkeys, and river others, capybaras and more. Our naturalists and his expert eye pinpoint all the biodiversity of this region. This is also a popular dolphin feeding spot so we won't be the only one enjoying the plethora of fish below. 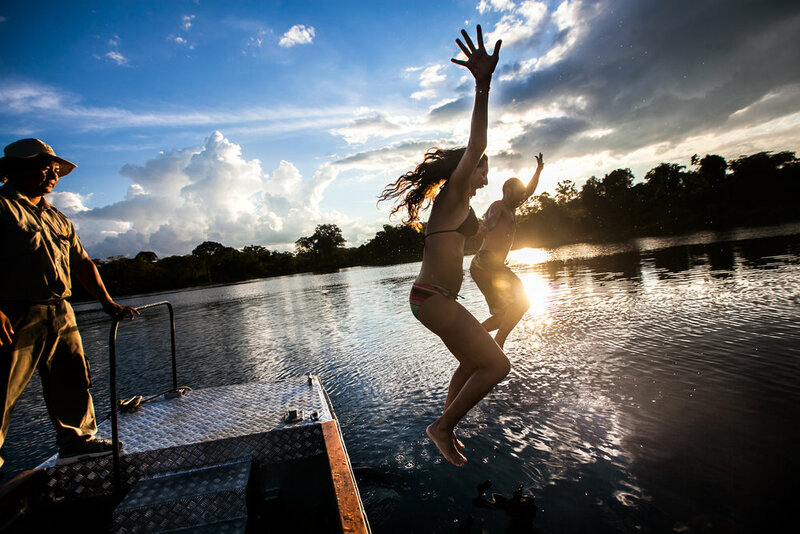 Yanayaquillo: After a delicious lunch you will start cruising through the creeks of Yanayaquillo, peeking into different creeks and lagoons. This is one of the best preserved and protected zones of the Pacaya Samiria National Reserve. Your guide will use his expert eye to pinpoint all the biodiversity of this region. This is also a popular dolphin feeding spot so we won't be the only one enjoying our happy meal here. 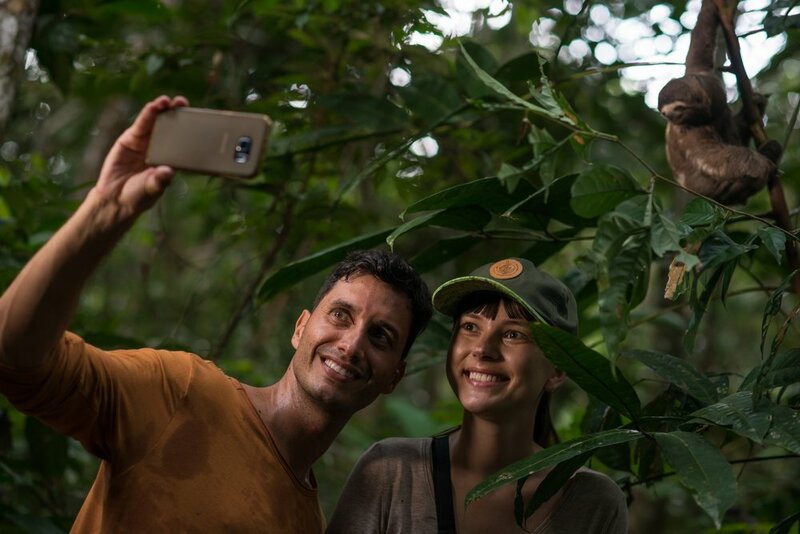 Fundo Casual: The walk at Fundo Casual jungle trail will take you deep into the rainforest on “Terra Firma” (non-flooded forest) where your guide will point out the dynamic creatures and vegetation of the Amazon. Be sure to keep an attentive eye open for spotting surprises! The Rescue and Rehabilitation Center of River Mammals (ACOBIA): On our way from Nauta back to Iquitos airport, you will visit the Rescue and Rehabilitation Center of River Mammals (ACOBIA) where you will have the chance to meet baby manatees and learn about these wonderful and docile creatures and why they are on the endangered species list. You will also have the chance to pet and feed these kind manatees. As well, there are also some other animals cared for by the center that have been rescued from capture for the intention of being turned into pets and other threatening conditions. We welcome you to donate to this ambitious organization and education center as you wish. Our land personnel will wait for you at the airport and give your boarding passes and help you check in. Airport Departure: Our staff will be on hand to help you with your luggage and check in at Coronel FAP Francisco Secada Vignetta International Airport in Iquitos. The return flight will take you directly to the city of Lima, the capital of Peru. At the security gate, your guide and Delfin crew will say goodbye. We truly hope your Amazon experience was as magical as it always is for us.